If international success is on the agenda for your high-growth tech start-up you’ll need some serious financial backing to fuel your journey. Unless you’ve bootstrapped thus far and have enough in the back to grow through cashflow, establishing a ‘beachhead’ in key overseas markets will require a significant capital injection, not to mention some friendly advice and guidance. That’s often where Series A capital comes in and even for those initiated in the ways of raising seed capital or who have angel investors on board, funding an international strategy can be an arduous task. But help is at hand. Such is the importance of export sales to the British economy, you should know the government is as keen as ever to support growth businesses like yours through a variety of schemes and support. Two businesses you can learn from are Firefly Learning and Bossa Studios. Both have landed Series A funding rounds to finance their international growth and are part of the Mayor’s International Business Programme, run by the Capital’s promotional agency London & Partners. Founded in 2005 by Simon Hay and Joe Mathewson, Startups-featured Firefly Learning is a cloud-based platform that enables teachers to set homework, track students’ progress, provide feedback and share learning resources with both pupils and parents. It is now used to help 400,000 pupils in 500 schools across 35 countries. Bossa Studios is the London-based video game studio founded by Henrique Olifiers, Roberta Lucca, Imre Jele and Ric Moore in 2010. It was partially acquired by Shine TV in 2011 after it merged with Endemol, but then underwent a management buy-out (MBO) after the success of Surgeon Simulator to become independent again. You don’t have to be profitable to appeal to investors but you should have demonstrated that you can achieve sustainable revenues and have strong growth potential. Investors will also be looking for a strong team with a clear plan and, finally, a path to exit. After its MBO, Bossa had already shown profitability and sustainability for a number of years, and proved itself in the market, before it decided to pursue a Series A funding round in 2017. Firefly already had a presence in dozens of countries before it targeted its Series A in 2016. This showed investors that it was viable in international markets and that its goals were achievable. “This is one of the most important business relationships you’ll have, so do your due diligence”, urges Bossa co-founder Henrique Olifiers in Routes to Finance, (a new report by London & Partners, the Mayor of London’s promotional agency) when discussing how to successfully raise a Series A round. Research investors’ portfolios to see what businesses they have previously funded, and consider what skills and knowledge they have that could benefit you. They could have connections or a presence in a key international market that you could take advantage of. As the lead investor is someone you’ll be taking advice and guidance from for several years, it needs to be someone you know you can work with closely and someone you can trust when the going gets tough. Finally, are your goals and expectations aligned with your investor’s? Make sure you share the same vision before you enter into an agreement or the relationship could sour later on. Even after all that research, seeking investment can take a long time and involve a lot of dud meetings before you find your match. Don’t start looking for investment when it becomes urgent; start looking early. “Looking for funding when you’re running short of cash puts you in a weak negotiating position,” says Hay. Firefly slogged through six months of conferences, tech events and introductory discussions before settling on investment houses BGF Ventures and Beringea, whilst Bossa met with no fewer than 40 potential investors before it found a match in Atomico and others. Don’t see this as wasted time, see it as a process of refinement towards the best possible funding decision for your business. Nevertheless, while the ends justify the means, it’s a lot of time out of day-to-day operations, so you need capable management before you embark on the process. Having a clear strategy and setting goals for your international growth will show investors you mean business and enable you to focus your resources. This means specific goals, not just a vague idea to grow overseas: know which international markets you are targeting and why. When first expanding overseas, Firefly knew it would do well in countries with a similar education system to the UK, a large English-speaking population or lots of international schools. For its Series A, Firefly planned to use the funding to further develop its platform, double its workforce to 100 and ramp up sales and marketing as it looked to expand operations in its largest international market, Australia. Although Bossa already had a player base around the world, with each game localised for different markets, the London-based company’s overseas presence was in its early days ahead of its Series A. The funding helped with the development of a Seattle office to help access key international talent. The later you are in your funding journey, the more cash you need, and the more investors you require. It can be hard, after you’ve started and grown a business, to part with substantial amounts of equity, and investors will usually take between 20% to 40% of the equity in return for funding. Be prepared to negotiate the percentage: the equity offered must be significant enough to attract investors but not so much that it devalues your own interest in the business. 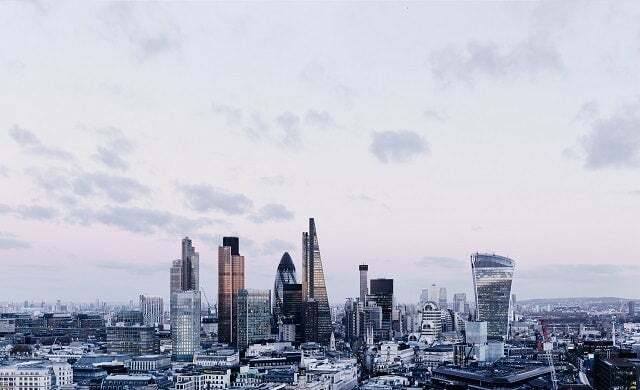 Routes to Finance is a new campaign brought to you by London & Partners’ Business Growth Programme and the Mayor’s International Business Programme. Its experts and real-life case studies explain the jargon, offer tips to help you achieve the maximum investment required and navigate you through the world of funding.